Life settlements have changed the way you should view your life insurance policy. It has been nearly 100 years since US Courts affirmed that life insurance is an asset and can be sold just like any other asset, but many seniors are still completely unaware of their life settlement options. If you are over the age of 65 and considering the surrender or lapse of your life insurance policy, you should first get a no obligation life insurance settlement quote… Even if you have no cash value in your insurance policy, it may have value as a life settlement. Anyone over the age of 70 should explore a life settlement before surrendering their unwanted policy. If you are younger than 70 and have had significant slippage in your health, you may also qualify. A viatical is essentially a life settlement for someone with a terminal or chronic illness and age is usually not as much of a consideration as your life expectancy. If you are uncertain if you qualify, a life settlement appraisal cost you nothing and puts you under no obligation. It’s the best place to start. Life settlement companies are broken into a few distinct categories. Life settlement brokers represent you and have a fiduciary responsibility to you. They compile all of you information and submit it to life settlement providers. Life settlement brokers charge a fee, but a good one does indeed put your policy in front of most if not all of the licensed life settlement providers in your state. A life settlement broker’s service usually pays for itself. Some life settlement providers will only do business with a life settlement broker and not directly with you. Life settlement providers fill orders for investors and buy life insurance policies for their own account. They have no specific fiduciary responsibility to you beyond fair practice and regulated disclosure. There is absolutely nothing wrong with going directly to a provider, but make certain you have some idea of what your life insurance appraises for in advance. There has been much needed legislation and regulation imposed upon the Life Settlement Industry. As with life insurance, the regulations and laws are governed by the state and not on a federal level. Currently, all but a handful of states have their own regulations or have adopted the model act. There is also a push federally to make life settlements a security on the investment side of the transaction. In April of 2009 Washington State Governor Gregoire signed a law requiring life insurance agents to advise their clients of a life settlement option if they are contemplating surrender or lapse of their life insurance. Other states are following suit and that is nothing but good for you, the consumer. Some captive life insurance companies have ‘strongly discouraged’ their agents from any involvement in the life settlement business. It will prove interesting to watch how life insurance companies deal with the issue going forward. Most Life Settlement Companies require a minimum face amount of $250,000 to be considered for life settlements, but some life settlement companies will bid on face amounts as low as a $100,000, depending on your health. You purchased your insurance policy to fill a gap should you die prematurely. You probably purchased a life insurance policy to provide an income for your family, to make sure your business survives a death of a key person or to cover anticipated taxes on your estate. Financial goals evolve. Children grow up and move away, business circumstances change constantly and you are certainly not alone if you no longer need the coverage that you once purchased to pay your estate taxes. As you address your new financial goals, having already reached retirement age, you may very well find that you no longer need your insurance policy. Just getting out from under burdensome and rising life insurance premiums has unfortunately prodded many to surrender their coverage. Do your homework: Find out if you qualify to settle your life insurance policy. This business owner took out a life insurance policy years ago to cover estate taxes. The size of his estate and his need for tax planning life insurance have both since diminished. He had no cash value in his Universal Life Insurance policy, but he did not want to lose all the premiums he had paid over the years. He had his policy reviewed and it was determined that there was indeed value in the secondary market. His appraised value was $800,000 and he ultimately sold the insurance policy. The $800,000 he recovered and the $214,500 in premiums he saved each year dramatically impacted his financial plan. By definition, life settlements will provide you a cash amount that is greater than your cash value but less than your death benefit. This simply means that there are life settlement companies that will purchase your unwanted life insurance policy for more than the cash surrender value your insurance company is obligated to give you. It is not uncommon to receive from 4 to 10 times the amount of your cash surrender value. If you have a term insurance policy or a universal life policy with no remaining cash value it could very well qualify as a life settlement. The appraised value of your life insurance policy is based upon several variables. The solvency of your insurance company, the type and age of your policy, premium schedules, existing cash value and your health are all a factor. Variations in your health status and your increase in age since you took out your life insurance policy are the primary driver of value in the secondary market. When you filled out your application for life insurance you were asked a series of health questions. Based upon your pre existing conditions you were assigned a rating class. If you were in great health, you most likely received a preferred or standard rating. If you had any health conditions such as a history of high blood pressure, diabetes or other long term debilitating conditions, you most likely were offered a sub standard rating. That simply means you paid more for your coverage than someone else who is the exact same age and gender would have, based upon the specific underwriting of your health. The underwriting of a life settlement is somewhat the opposite. If your health has slipped since you initially took out your policy, often a hidden value is created. All things considered, an insurance company is more likely to pay a death claim to someone in poor health. 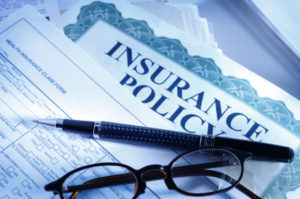 If you surrender your policy any hidden value remains with the insurance company. If you qualify for a life settlement, that value could very well come back to you. This gentleman’s estate had dramatically decreased since he first purchased his life insurance policy. The insurance was no longer needed and it had become quite difficult to pay the annual premium. If he was unable to sell his life insurance policy, he was going to lapse it as there is no cash value. He was elated to receive a life settlement appraisal of more than half a million dollars, he was not expecting that much value because his policy had no cash surrender value at all. Before you embark on a mission to sell your unneeded or unaffordable life insurance policy, you should see if you qualify for a life settlement. Feeling more confident about your knowledge? Take the next step and find out what your life settlement would be worth today. What are Viatical Life Settlements?